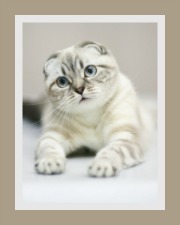 A comprehensive cat breed list featuring domestic cats. 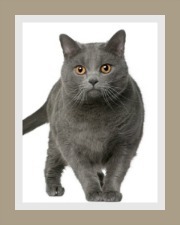 You will find cats with unusual features like short-tailed bobtails and curly eared cats, hybrid cats from domestic cat / wild cat crosses and of course new cat breeds that are still being developed. 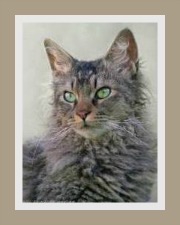 So, if it is a longhaired popular cat breed or an exotic hairless cat that tickles your fancy, take a look at these extensive lists of different cat breeds. Bengal Cat Asia ; USA Wild Asian Leopard crossed with an American Shorthair. 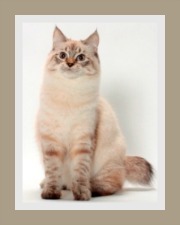 Birman FE (Burma) ; France Siamese with white markings crossed with Angora or Persian. 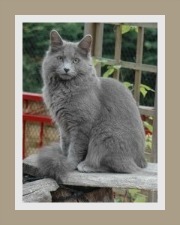 Possibly a natural breed. 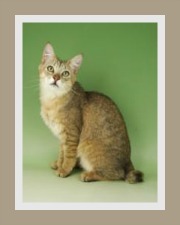 Burmese Cats FE (Burma) ; USA Burmese/Siamese mix, crossed with Seal or Chocolate Point Siamese. Possibly a natural breed.